We stopped in on a very rainy afternoon. There was so much rain that the airport was closed and all flights canceled. 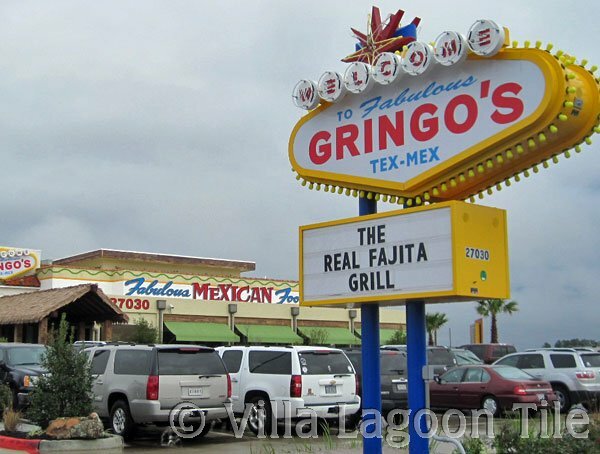 As a result, not too may people ventured out for lunch and we were able to take some great photos. 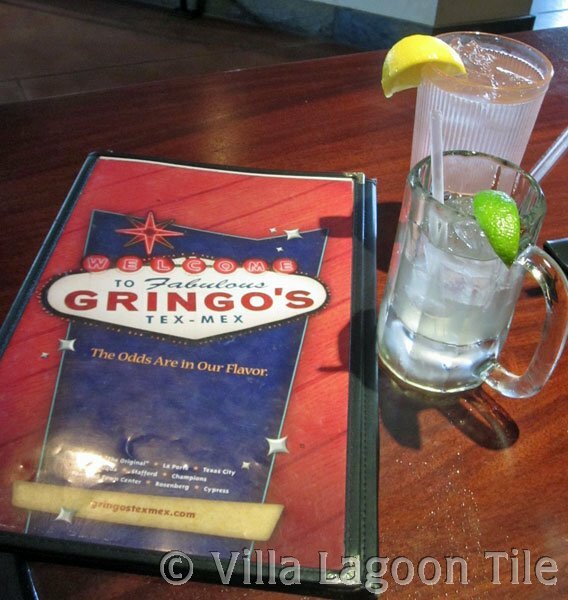 The designers of this Gringo's Mexican Kitchen location used many of our in-stock cement tiles to give a festive atmosphere to the cheerful Mexican themed restaurant. 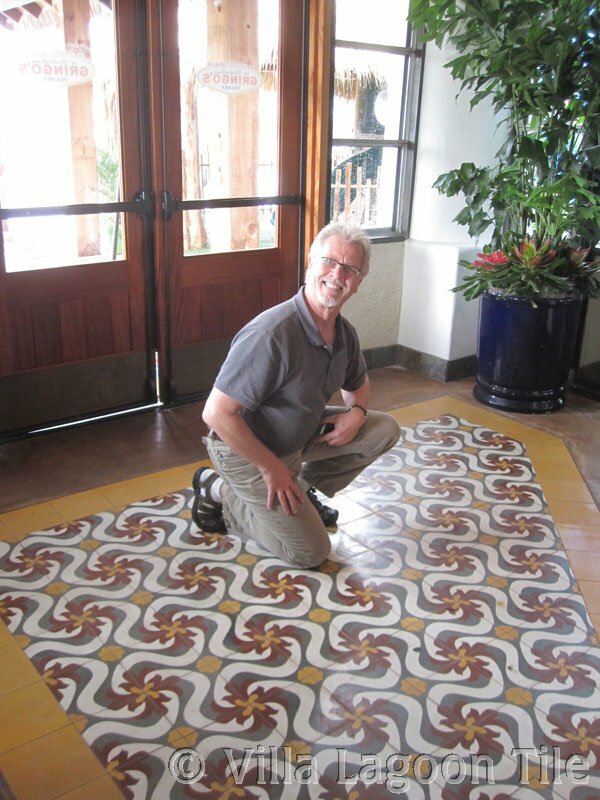 Dave was having a close look at our tile when we took this photo. 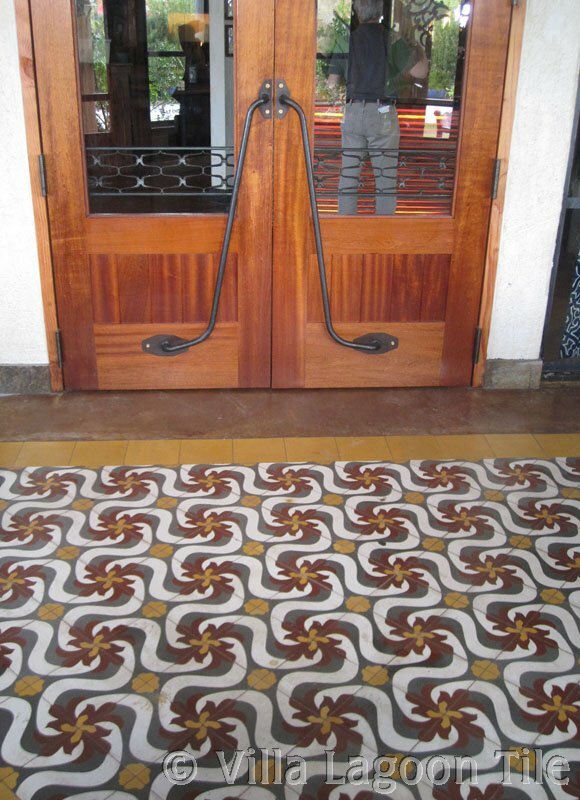 The foyer has the CH-150-1A Cuban Tile pattern. 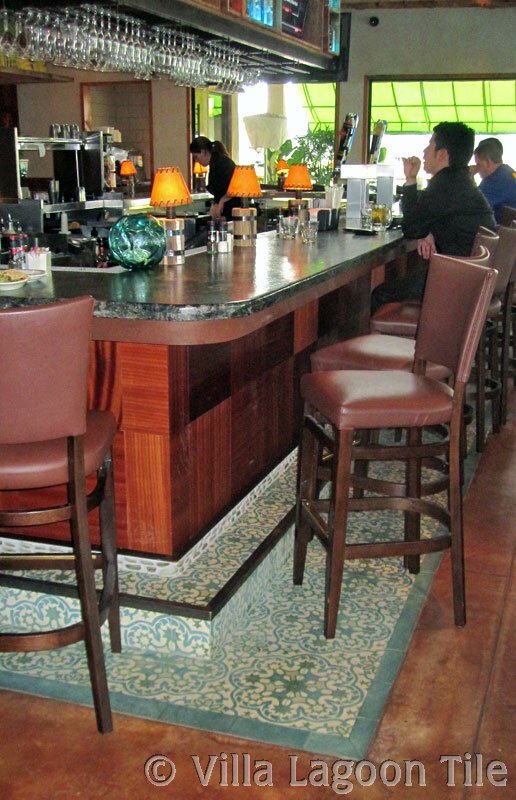 The bar area had our Havana Cantina pattern surrounding it. 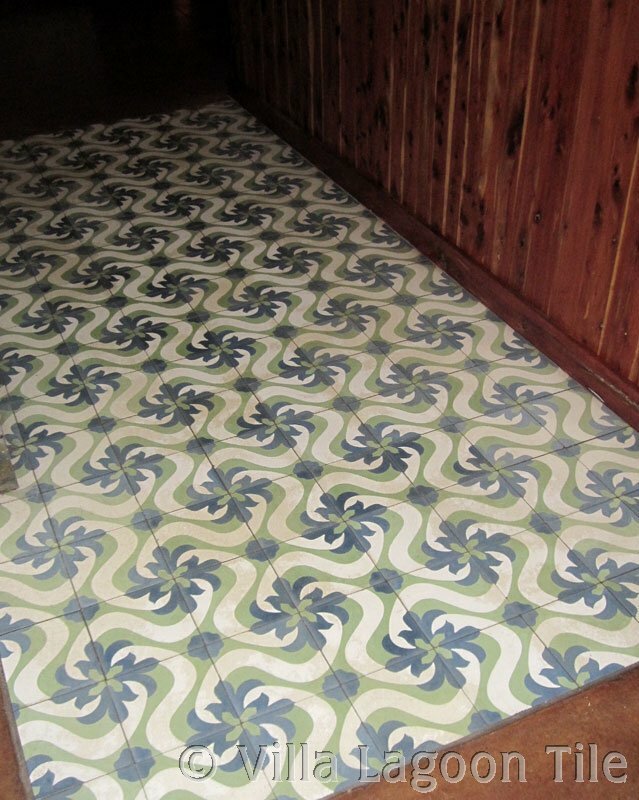 Our tiles were installed in a stained concrete floor. 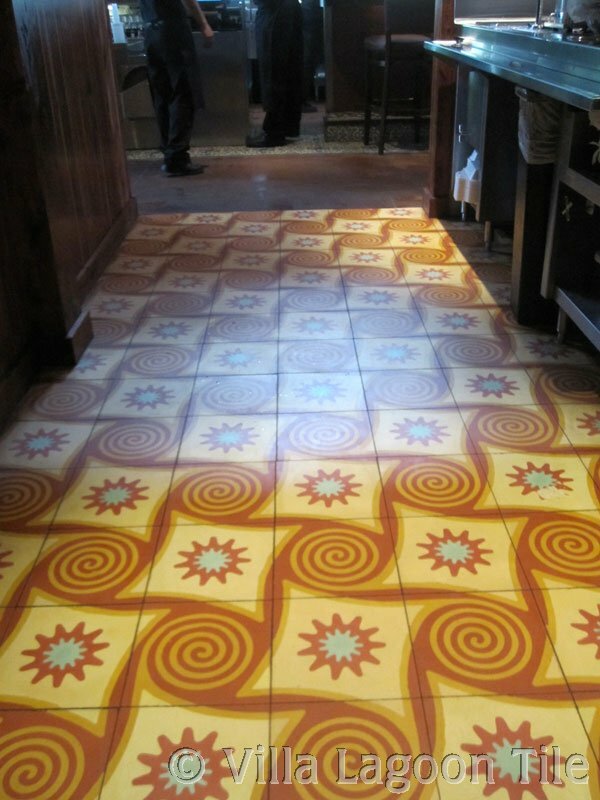 They did a great job of keeping the concrete acid stain off the tiles if they did the staining after tile installation. 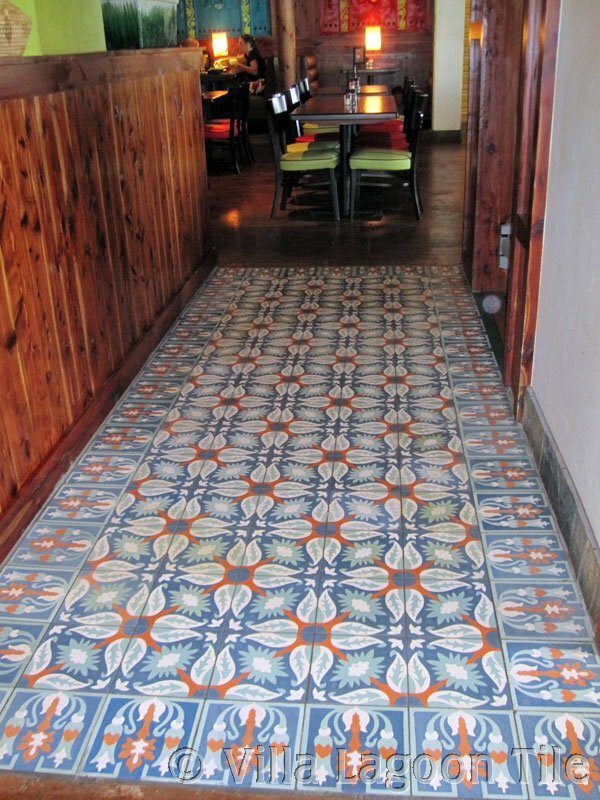 The passageways from one dining area to another each had different cement tile. Our Tradewinds pattern is in this photo above. 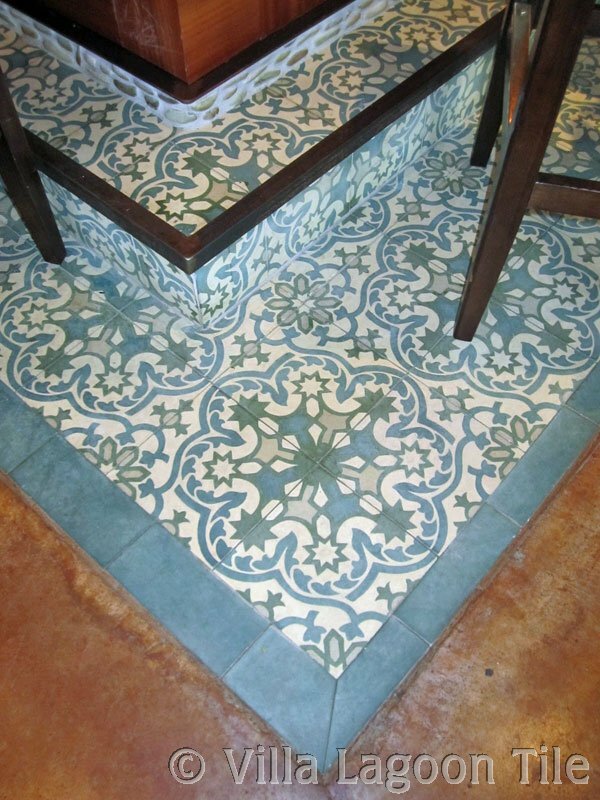 It is a 10" tile.